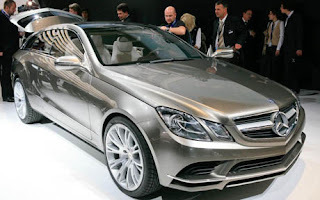 Concept Car is a resource for car design, automotive design, industrial and product design information. 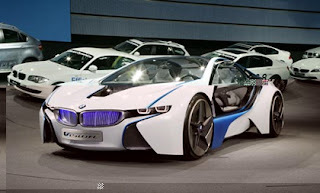 What Is the BMW i8 Concept? The BMW i8 concept is the next step in the evolution of the BMW autos. The initial testing of the concept has already been carried out. This is also part of the "Project i" of the BMW, which will release state-of-the-art automobiles for various types of drivers. Unlike the i3, the i8 is for sports car fanatics who want more innovation. The i3 concept lends its modified electric dive system to the i8 concept, which takes the game further with its engine that presents 220 hp and 300 Nm torque. The powerful engine provides incredible performance for a sports car, but the fuel consumption is similar to that of a smaller vehicle. It has a very fast acceleration, so quick, in fact, that the car's speed can go to 62 mph from 0 in just 5 seconds. The fuel consumption is also at a remarkable rate at with 3 liters consumed for every 100 kilometers. This means that the i8 has a much better efficiency than the cars today with the same performance. The battery is lithium-ion and can be charged by plugging it to a power supply. This is much like in the i3 concept. Without fuel, the BMW i8 can travel for about 20 miles. Mercedes-Benz is calling the car its "Concept A-Class," but in all likelihood this car will be built or something very close to it. Without benefit of being able to show you a picture means that my words will have to sketch in your mind what this vehicle will look like. Importantly, I must explain the importance of bringing such a vehicle to market. Scheduled to debut at auto shows in Shanghai and in New York this month, the Concept A-Class is a subcompact three-door hatchback with a long hood, narrow side windows and a tapered rear deck. Seating four passengers, the concept sits on huge wheels and is powered by its front wheels. Underneath its hood, a turbocharged 2.0-liter four cylinder direction injection engine resides, paired with a dual clutch transmission. This car is all about presenting an athletic look and backing it up with a compact engine that can move it with authority.